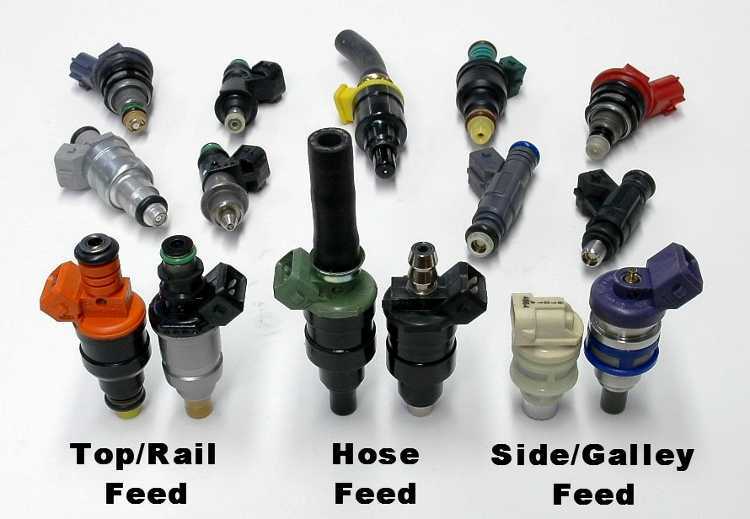 HIGH IMPEDANCE INJECTORS â€” Most injectors can be divided into two major categories: high impedance 12 to 16 Ohms and low impedance 1.2 to 4.0 Ohms. 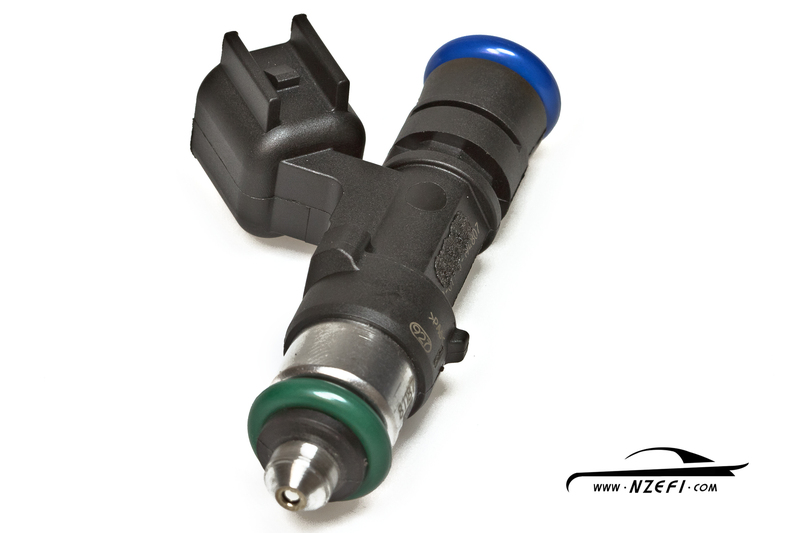 The high impedance injectors are used with ECUs that are designed with saturation drivers. 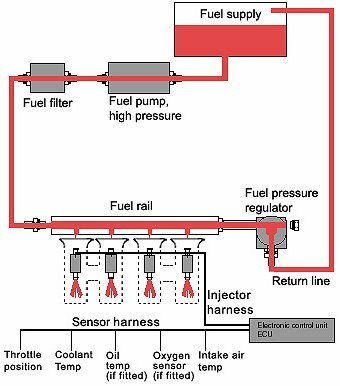 The advantage of using saturation drivers is that the currents running through the ECU circuits and the injectors are relatively low thus generating less heat. The disadvantage of saturation drivers is that the driver has a slower response time, which could affect the full utilization of such a system at very high engine RPM. 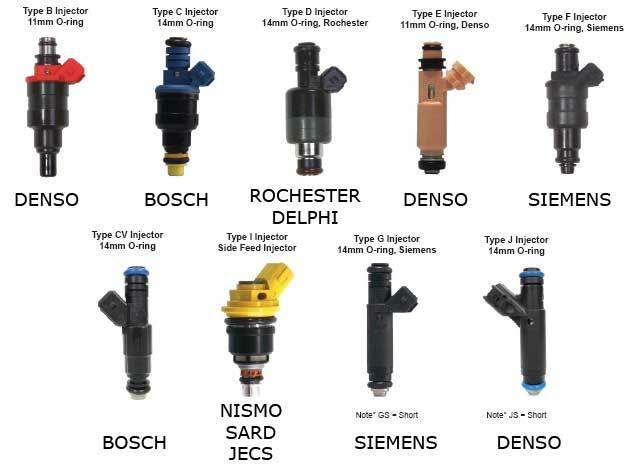 LOW IMPEDANCE INJECTORS â€” The low impedance injectors are designed to be run with an ECU that employs peak and hold drivers (also called current sensing or current limiting drivers). The current ratio (peak to hold) is generally 4:1 and the most common drivers available are 4 amp peak/1 amp hold or 2 amp peak/ 0.5 amp hold. 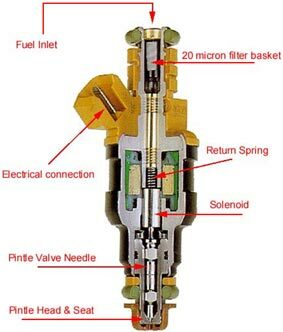 The peak current is generated to overcome the inertia of the closed valve and once the valve is open the driver cuts down to 1/4 of the peak current to hold the injector open until the end of the metering event. Low impedance injector designs are mostly used in high flow applications. a bit of math shows .405 lbs of fuel per hour x 857 hp=347 lbs of fuel per hour or 5.78 lbs per minute. gas weights close to 6.1 lbs per gallon , so to make that 857 hp hes burning nearly a gallon per minute in fuel. 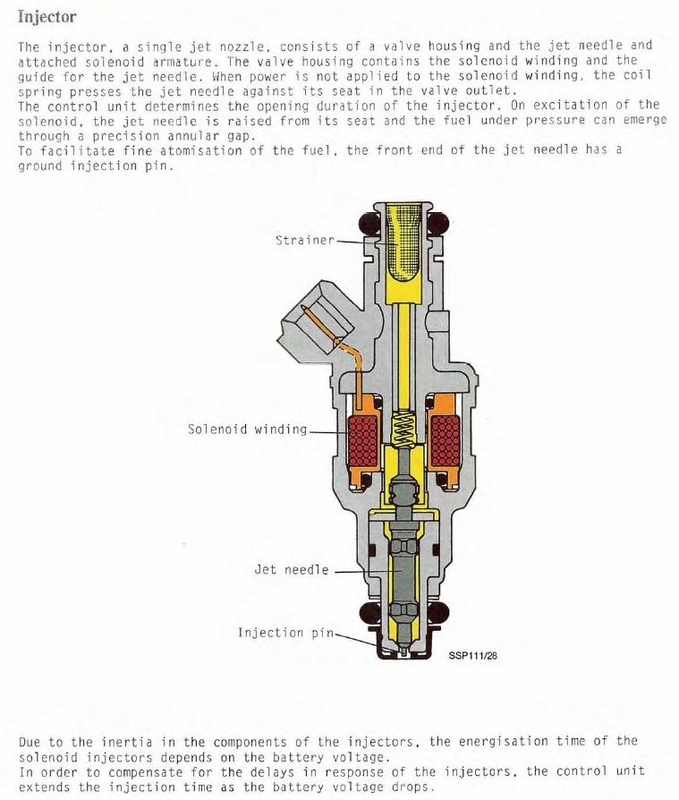 the reason the suggested boosting the f/p is to increase the fuel mass injected,from the stock injectors, thats a band aid approach, the correct approach is to correctly alter the fuel map, to get a longer duration spray pulse from the fuel injectors and if the stock injectors can,t supply the required fuel in the upper rpm range youll need to increase the size rating on the fuel injectors you use, most fuel injectors are designed to operate at a max of 80% duration,if you install a 400hp-450hp engine youll need a minimum of 30lb-36 lb injectors, and 36lb-40 lb if you intend to exceed 470hp, I know its a p.i.t.a. but its amazing what works if its correctly tuned, and increasing the f/p to 58 psi is not the way to do it,you can,t fight facts and it takes (X) amount of fuel to make (Y) amount of HP if you want the f/a ratio to keep from burning pistons and detonation, I run 36 lb injectors in my 383 and it works just fine up to about 6000rpm where it starts leaning out slightly, I should swap to 42 lb injectors but I intend on swapping to a BBC soon so Im holding off. its not a guessing game, its a simple calculation. 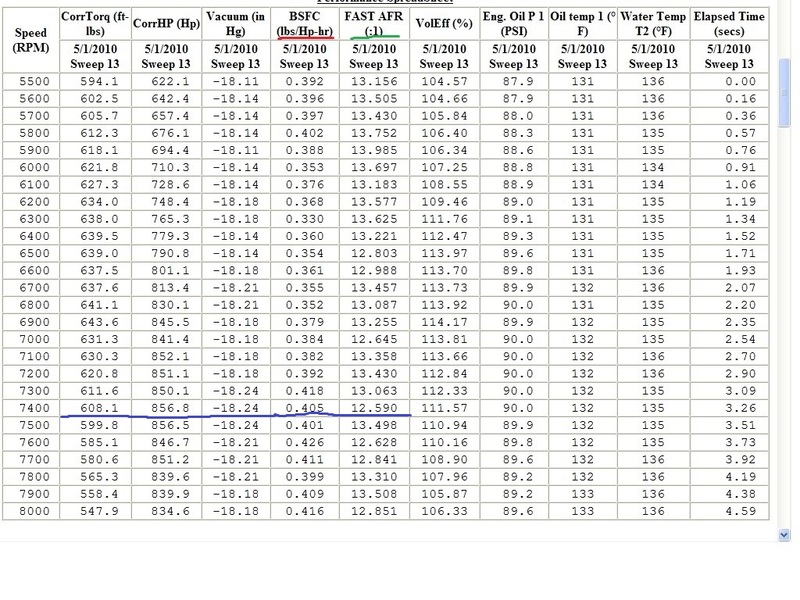 use the calculators in this thread, posted above but keep in mind your looking at about 520hp PLUS flywheel if its dialed in correctly,, so you need to match the port cross sectional area, air flow rates and cam timing, and lift to the engines displacement and match the injector flow rates. 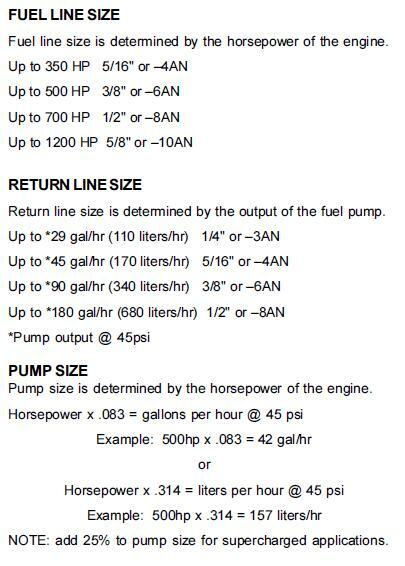 you need to maintain about a 12.5:1-12.8:1 fuel/air ratio at peak rpms to maximize your horsepower, and if the ports won,t flow enough air, or the cam restricts the ports with restricted duration or lift you won,t get the full potential power. failure to match the components to the application will result in decreased performance. Im going to upgrade to 42 lb on my 383 as soon as the budget allows. 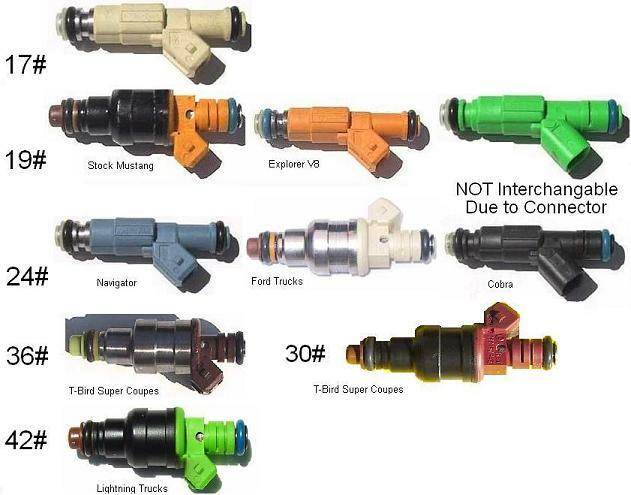 being limited to the max injector flow can cause a lean condition that burns rings and gets you into detonation far faster than than having a slightly larger than ideal injector would do. don,t get crazy, use the calculators, but be a bit generous and don,t cut it too close, having a bit to much injectors like having a bit to much money, you don,t need to use its all, but like money, not having enough makes things difficult. 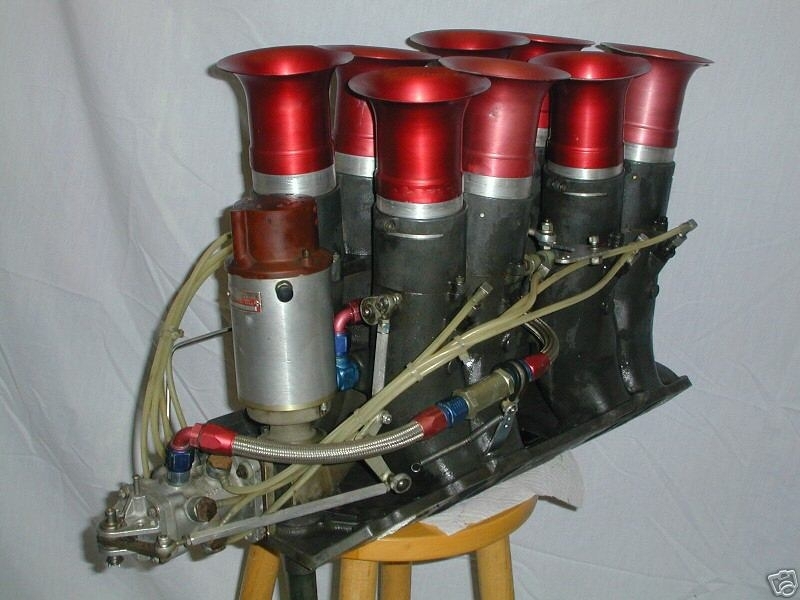 keep in mind sticking killer heads that potentially flow 300 plus cfm on an engine, so you can produce impressive horsepower, then matching it to a restrictive exhaust or intake that won,t flow similar numbers or a cam that won,t open the valves far enough to get that full port flow, will significantly reduce your power , as will gearing the car so the engine can,t spend 80% or more of its time running in its most efficient power producing rpm band, you must maintain the fuel/air ratio and fill, and scavenge the cylinders efficiently, if you expect to produce good hp.....its all about matching the components in the combo to its intended use, then EFFICIENTLY filling, burning and scavenging as much fuel/air mix per, intake, power, and exhaust, stroke as you can manage. Injector swaps that INCREASE the flow rate by only a couple lbs will not be critical,because your cpu reads o2 sensor data to set the pulse duration on the injector, swapping from a 24 lb to a 26 lb has virtually zero effect on anything until the pulse duration must exceed 80% of the listed flow rate,to keep the fuel/air ratio at the 14.7:1 rate the systems designed to run at. simply because the cpu adjusts injector flow as required, by adjusting the pulse duration. 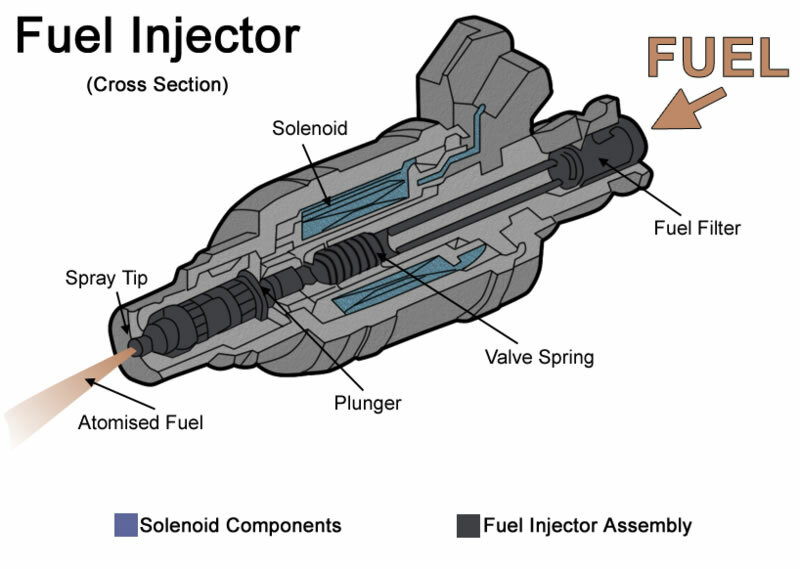 the advantage of the larger injector is that it can if required flow those two extra lbs of fuel. The above part numbers provided me with all of the seals shown below circled in red. I would recommend that you replace these seals whenever you service your TPI system. Remember, you've got gasoline under about 45 pounds of pressure flowing through the fuel rails etc. A leak could easily catch fire and cost you your car. The front and rear crossover tubes use different size o-rings. 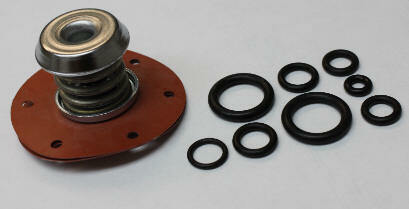 Try a GP Sorenson 8009211 kit. The o-rings on the feed/return lines are easily available through your local parts store too. GM parts # are 22514722 and 22516256. 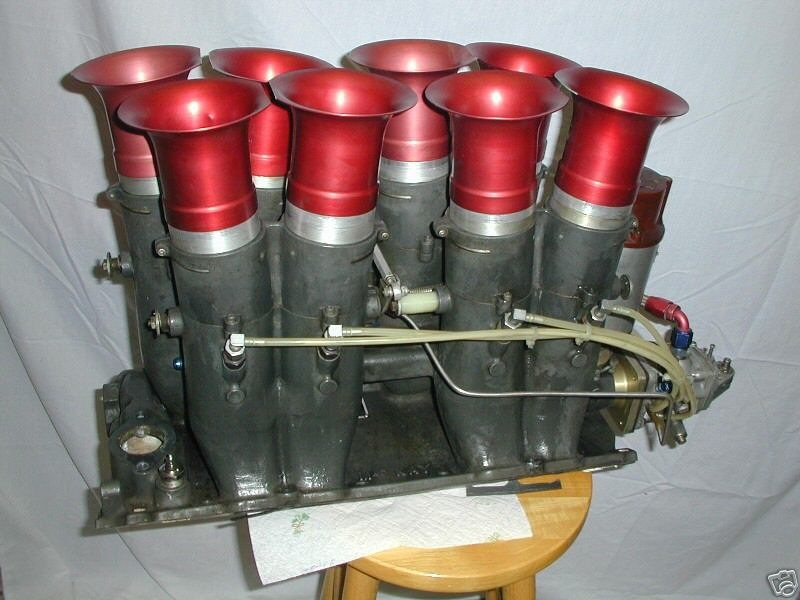 Borg-Warner 27478 or Niehoff 27478 are cross-references. First you said you ran a steel fuel line? Better change that to stainless steel or you will start having problems with rust particles contaminating the fuel system. 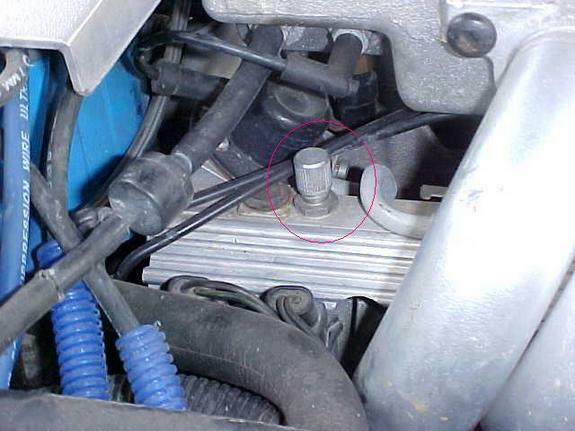 They plug filters and hang injectors open and cause general hate and discontent. The gas tank is another problem area if it's steel. Ethanol is hygroscopic meaning it attracts water. This water causes serious corrosion of steel. Ethanol also has corrosive effects on bare aluminum which can destroy it and cause the same particle problem. Stainless steel, some plastics(Teflon), and certain anodized aluminum are needed for the fuel system. Most fuel filters for performance alcohol use are intended for race engines with strict fuel quality control and use stainless steel mesh elements that only filter down to 100 microns. 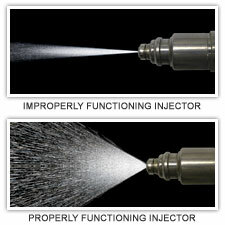 At least 40 microns is needed to stop all of the particles that can cause fuel system trouble. 5 or 10 microns would be better but I haven't found a high pressure, alcohol safe filter that filters that low yet. The best filter I've found is the Mallory 3181. 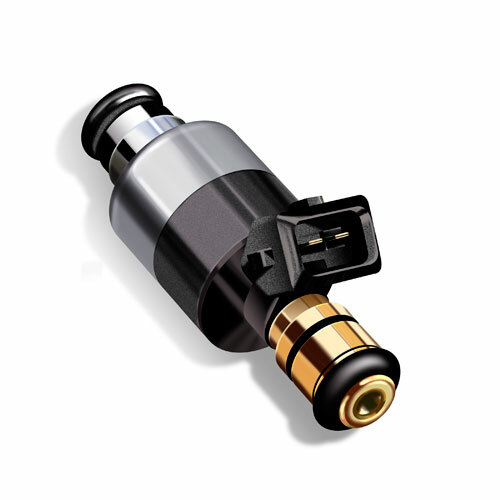 It's a 40 micron alcohol compatible in-line filter for high pressure fuel injection that flows up to 500GPH. Second it takes approximately 30% more fuel with E85 to make the same power as gasoline. You have to alter your fuel delivery accordingly. This also means that at the same power level your fuel tank will go empty way faster. This isn't a problem for some applications but can be for endurance racing where you don't have anymore room for fuel. Third is that alcohol runs considerably cooler than gasoline and therefore needs more compression to make the same power as gasoline in a given engine. I'm not saying that an engine built to run on gas can't run ethanol, just that it won't make as much power as it could if it had more compression (or boost). The burn rates also require a complete ignition re-map to get power back up. This barely scratches the surface of E85 for a performance engine, and I'm still learning as I go but I hope this helps..I think forced induction fuel injected engines would be a great place for this fuel to really make some power! I look forward to hearing your project shapes up.